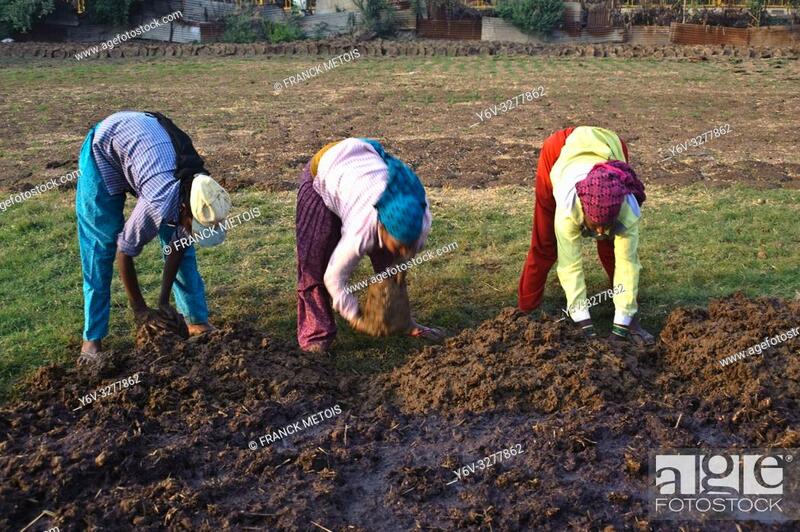 Foto de stock - Three women are making cow dungs out of a large pile of cow manure. These cow dungs are intended for sales ... . These women are working for a ""gaushala"" ( a cow shelter) ( Chhattisgarh state, India) They are hindus; they belong to the lowest castes of the hindu caste system ( they are SC. ).